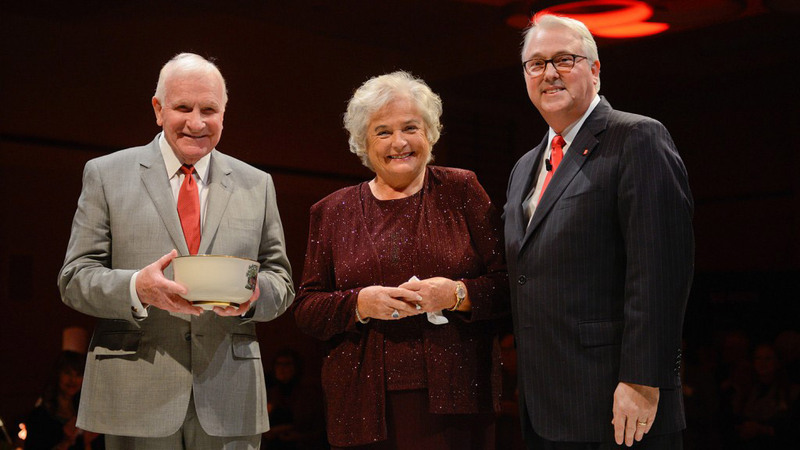 Membership in the Lifetime Giving Societies is NC State’s most prestigious donor recognition. Through the societies, the university honors the leadership and extraordinary support of alumni, friends, faculty and staff. Private donors have a vital role in shaping the university’s future, and the Lifetime Giving Societies provide the means to recognize our most generous supporters. Individuals become members based on their outright, cumulative giving over time to any college, program or university-related foundation. Cumulative giving is calculated based on gifts received through the fiscal year ending June 30, and totals include employer matching gifts. Qualifying gifts include: cash, securities, certain real estate and gifts-in-kind, as well as irrevocable deferred gifts of $150,000 or more. $5 million or more in outright or irrevocable planned gifts. Alexander Quarles Holladay (1839-1909) was an educator, lawyer and legislator who served as the first president of NC State, then known as the North Carolina College of Agriculture and Mechanic Arts, from 1889 to 1899. Holladay was instrumental in transforming the land-grant into an esteemed institution of higher education. $1 million or more in outright gifts or irrevocable planned gifts. William Joseph Peele (1855-1919) founded the Watauga Club in 1884 and organized its members in their effort to provide better educational opportunities and to promote the agricultural and industrial development of North Carolina. $500,000 or more in outright gifts or irrevocable planned gifts of $750,000 or more. Walter Hines Page (1855-1918), an influential Raleigh journalist, was a founding member of the Watauga Club in 1884. Page helped form an effective coalition between the Watauga Club and the North Carolina Farmers’ Alliance, which co-sponsored the legislation that established what is now NC State University. $250,000 or more in outright gifts or irrevocable planned gifts of $375,000 or more. Charles William Dabney (1855-1945), an educator, administrator and scientist, was an enthusiastic member of the Watauga Club and director of the state’s Agricultural Experiment Station. Dabney drafted the legislation in 1887 that authorized the establishment of the new college, now known as NC State. $100,000 or more in outright gifts or irrevocable planned gifts of $150,000 or more. Wallace Carl Riddick (1864-1942) served NC State for 50 years from 1892 until 1942 in the roles of professor of civil engineering and hydraulics, head football coach, dean of engineering, president and dean emeritus. Riddick played a vital role in upgrading NC State’s intercollegiate athletics program and enhancing the engineering program.